i wonder this guitar is fake or real. everything's fine except the head shape. it's not the same shape that i saw in the catalog. but rest of them are exact form of hb-60. Re: is this real HB-60? Welcome. Youtube has some real nice Gibson SG's from China. fake as he**, but nice.I cant help you on real or fake. I personally would only buy from authorized dealer. Now in Korea that might be a problem or hard for you, I don't know. Who ever in Korea, that made my 98 D10TR, I wish they made all my other guitars, as it is flawless. Tom. P.S. Of course I will buy a nice used guitar were ever I can get it. 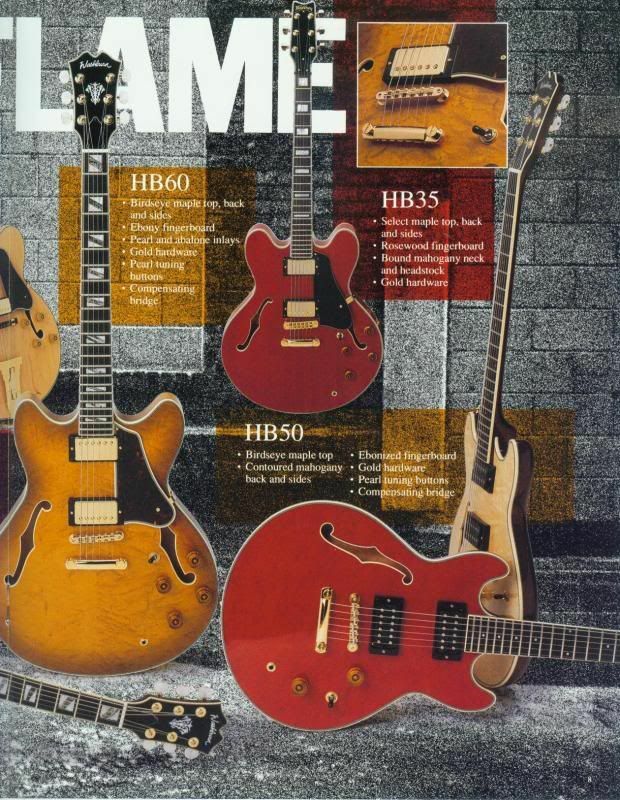 If you use the "search" function at the top of the page, you will probably find some examples of the "HB" series guitars. If I remember correctly, there were 2 different headstocks on these guitars. The one pictured looks correct to me. 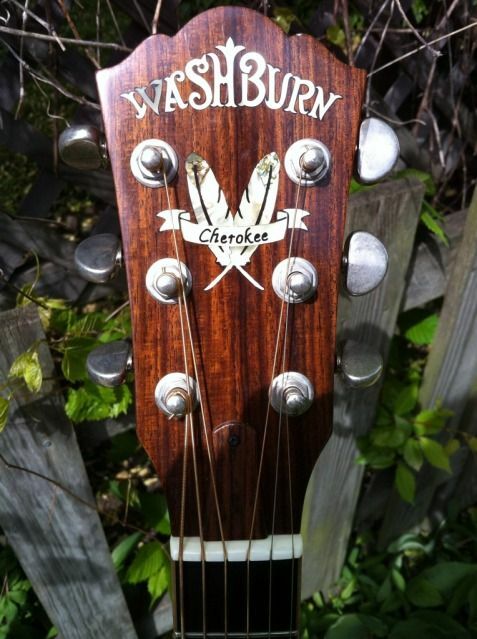 while it may not match the catalog image, as Nogin says, that headstock is a known quantity on Washburns. Typically, a shop will make a whole pile of necks, and then match them to bodies as necessary. Quite possible that the shop responsible for this guitar simply mixed and matched some appointments. Looks like a great guitar. The seller told me that there's no label in the hole. 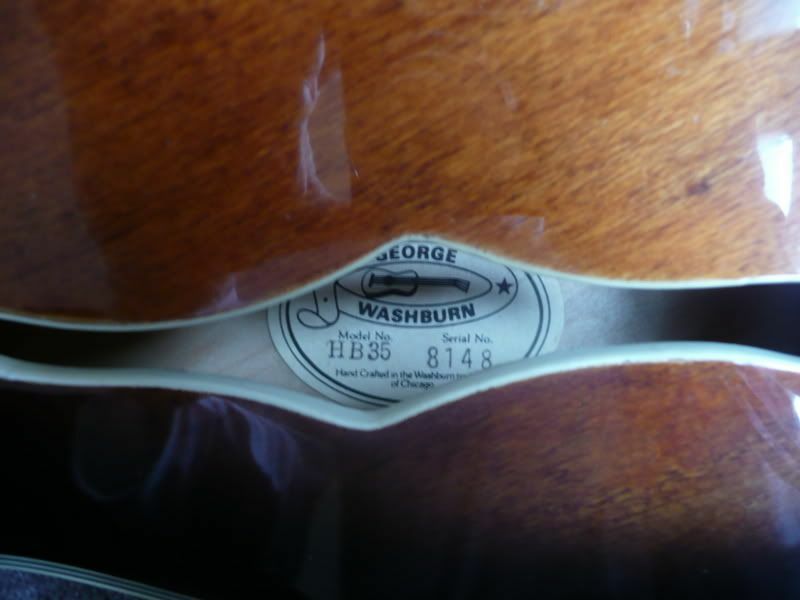 the other guitar like hb-30 on the google image has label in the hole. Here's a speculative thought......these guitars were probably built in Korea. you're in Korea. It's concievable to me that this guitar is a prototype, some sort of non standard run, and as such, std appointments like the label and headstock vary from the norm??? Strictly grasping. Any way you can look at the guitar before buying? i'm barely think that hb60 has replica, but i want to make it clear that this guitar is genuine. I will get you any informations (such as pics) you want,. simpsons, if you are still following this thread, check out the post, "Three Sisters", under "Show your Washburns". You will see 2 different headstocks on the same model guitar. @simpsons...cool that it's MIJ. Like I say, I'm speculating...grasping for possible explanations. Looks great to me, I'd jump on it.